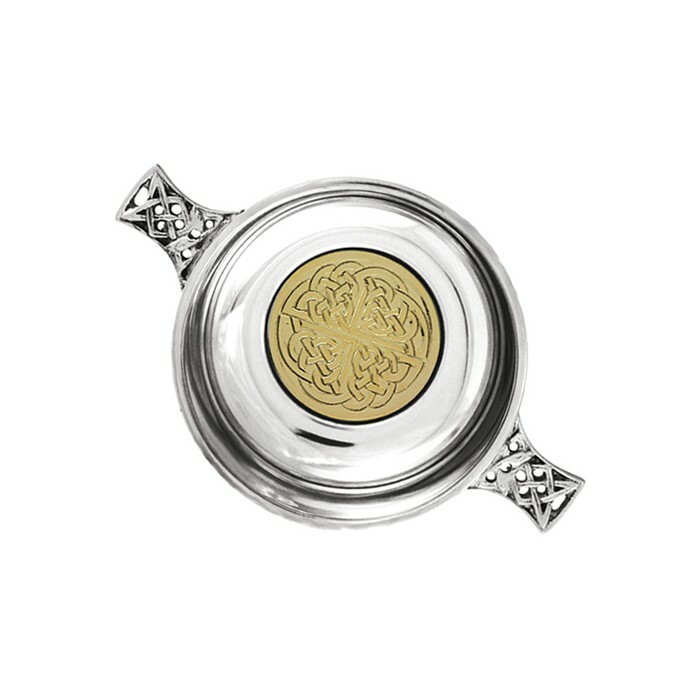 A 3.5-inch pewter quaich with brass intricately detailed Celtic Knot and disc detail. 9.5cm wide x 5cm high. Supplied in a presentation box. 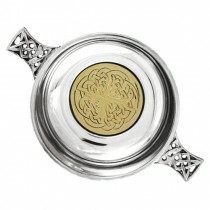 This lovely Scottish quaich would make an ideal wedding or christening gift.